This was a brutal hike with 50 lbs. of camera gear on my back in the pouring rain. It was a constant uphill and downhill battle with slippery paths and rocks. It was the rainy season in the jungle at Tenorio Volcano National Park, in northwestern Guanacaste Province. The sound of exotic birds and flowing water was so amplified it sounded like a stereo. 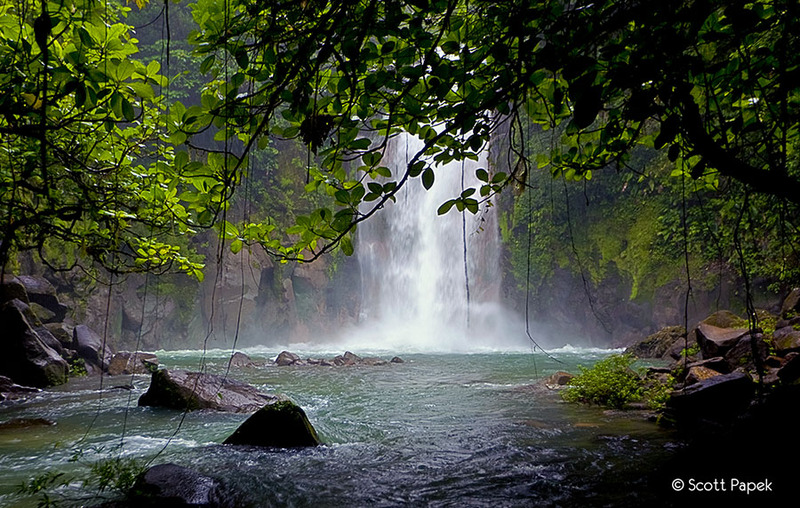 I purposely wanted the hanging vines to frame this majestic waterfall. . Photo © copyright by Scott Papek.